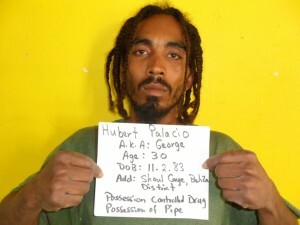 On Sunday, January 12th at about 4AM, while Caye Caulker Police was conducting patrol along the beach front, a search was conducted on a male which led to the discovery of a small transparent zip lock plastic bag which contained a white powdery substance suspected to be cocaine inside the left front pocket of his pants. As a result he was detained and escorted to the station along with the suspected drugs. The culprit was later identified as 30 year old Lindburg Williams. The suspected drugs was weighed which amounted to 0.9 grams. He was formally arrested and charged for the offence of “Possession of Controlled Drugs”. 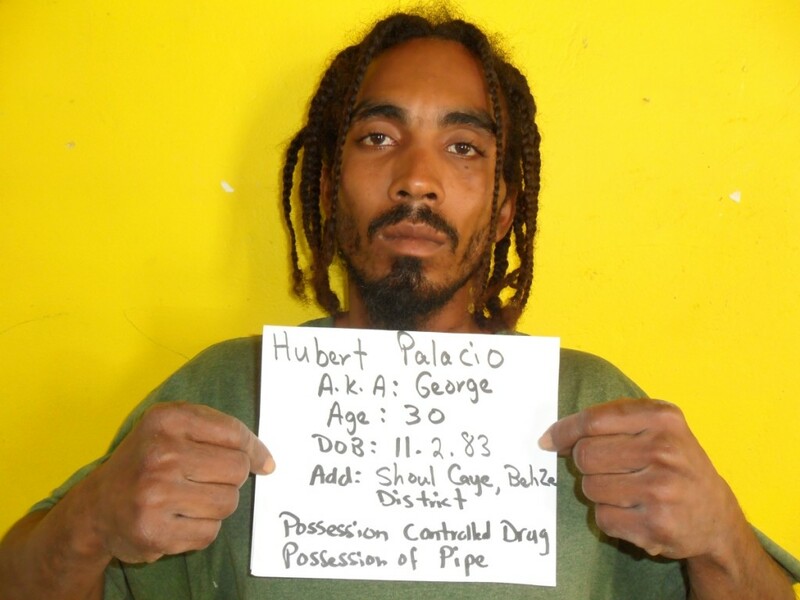 He was escorted to San Pedro Magistrate Court on Monday, January 13th. On Wednesday, January 15th at about 3:50AM, while Caye Caulker Police was conducting patrol on Avenida Langosta, Caye Caulker Village, a search was conducted on as male identified as Tito Rosado, 38 years of age. The search led to the discovery of a transparent glass pipe measuring 2 inches suspected to be used in the smoking of crack hidden inside the zip area of his pants. As a result he was detained and escorted to the station along with the pipe. 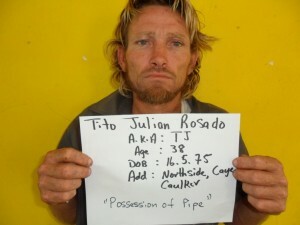 He was formally arrested and charged for the offence of “Possession of Pipe”. He was escorted to San Pedro Magistrate Court on the same day.